Jackson, Green & Preston offer a full range of residential and commercial valuation surveying services, offering expert advice based on the firm's extensive local knowledge and backed up by a prompt and efficient service. 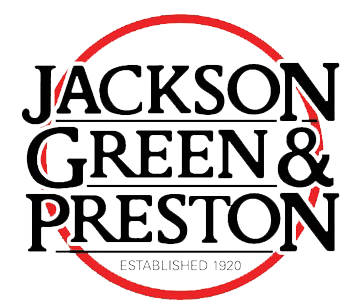 All the Partners at Jackson, Green & Preston are chartered surveyors and RICS Registered Valuers, and you can therefore be assured of obtaining professional advice. WHY HAVE A SURVEY/VALUATION REPORT? Property acquisition is the largest purchase and largest financial commitment that most people will make and money spent on a survey could save thousands of pounds and may provide ammunition to negotiate a price reduction or may even make you think twice about buying a particular property. Forearmed is forewarned! Please call 01472 311120 for a quotation on a particular type of property that you require advice on, or click here. For residential purposes, you may consider having a Homebuyer Report and valuation, which provides more extensive information. Our Reports are in the format set out by the RICS (Royal Institution of Chartered Surveyors) and will give you a greater insight on defects which may affect value and recommendations. At Jackson, Green & Preston the cost of a Homebuyer Report starts at £500 plus VAT, however, please call for a price quote, as this is dependent on the size and type of the property.